Good morning! 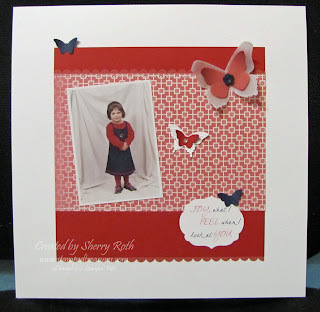 I have a quick and easy layout to share with you today! The dsp is the More Amore dsp - love, love, love! 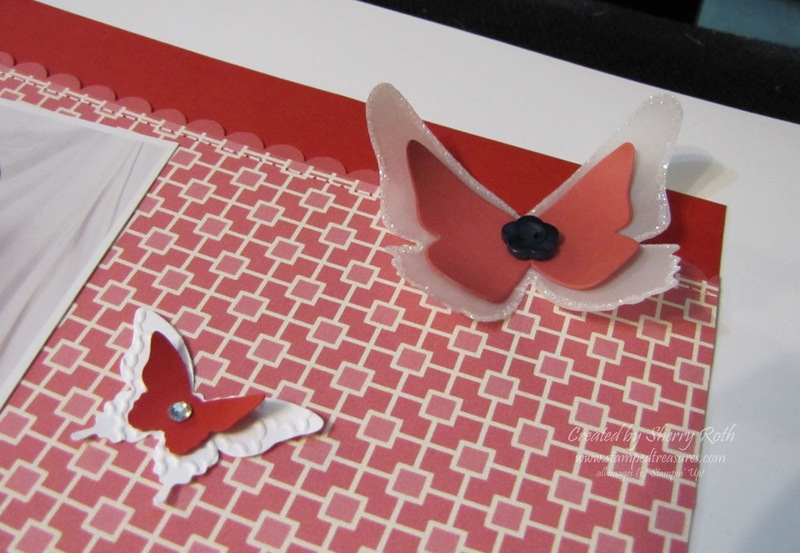 You also get a peek at the new butterfly punch (the smallest butterflies were done with that punch). It's hard to tell but I did a bit of faux stitching on the dsp. I would love to add real stitching to my layouts but I'm too lazy to pull out my sewing machine! I also added some dazzling details glitter to the edges of the largest vellum butterfly for a bit of bling.